You have added Erica Lace Panel Off Shoulder Dress in Cream into shopping cart. 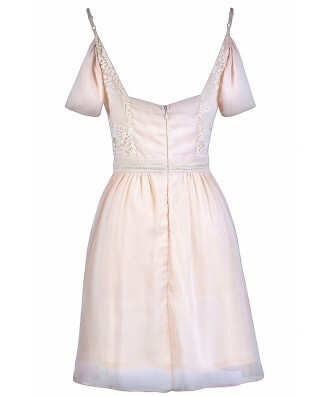 This delicate and dreamy chiffon dress feels like it is right out of a fairytale! 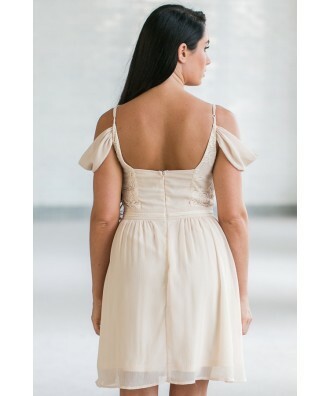 The jade color is perfect for bridesmaids, and the cream would make a cute rehearsal dinner or bridal shower dress for brides. The Erica Lace Panel Off Shoulder Dress is fully lined and made of chiffon. A panel of lace at the front of the dress adds a delicate, girly touch. This dress has adjustable spaghetti straps, an empire waist, and a flowy skirt. Our favorite part of this dress is the adorable off the shoulder sleeves. A hidden back zipper completes this look. The Erica Lace Panel Off Shoulder Dress looks perfect paired with beige pumps or wedges. Details: Fully lined. Adjustable spaghetti straps. Hidden back zipper. 100% polyester. Lining: 100% polyester. Dry clean only. Small measurements: Length from top of bust to hemline: 28". Bust: 34". You have added Erica Lace Panel Off Shoulder Dress in Cream into Wishlist. You have added Erica Lace Panel Off Shoulder Dress in Cream for Stock Notification. 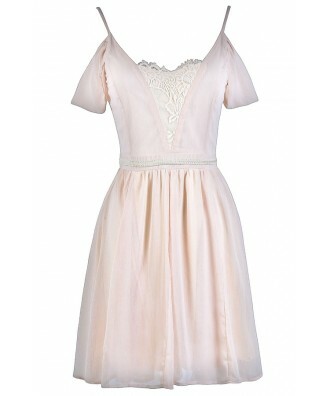 You have set Erica Lace Panel Off Shoulder Dress in Cream as a loved product. 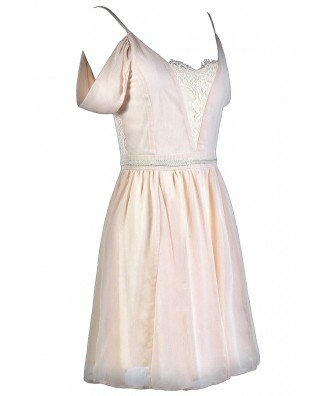 You have removed Erica Lace Panel Off Shoulder Dress in Cream as a loved product.